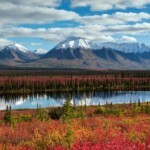 Looking for Alaska adventure tours? 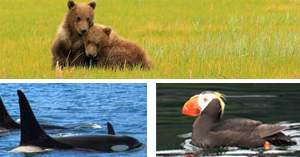 This core tour of Alaska, offers flexibility to customize your adventure. Start with remarkable scenery, fantastic wildlife viewing, back road adventure, glacier treks and river boat rides for your first six days. Then customize to your liking. Consider adding a couple of days at the Arctic Circle, or Fly-out to experience Remote Bear Viewing, or add a touch of the Inside Passage at the Wilderness Glacier Bay Lodge. Come join us in the Matanuska Valley – Play land of Alaska, to view the world’s largest glaciered rock, Mt. 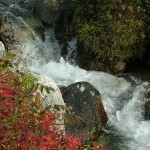 McKinley, and join in the fun of glacier trekking, wildlife viewing and back river jet boats. Then tell us what you want to add – and let us create perfect Alaska Adventure tours just for you! Call a tour coordinator at 1-800-580-3494 for unadvertised promotions!